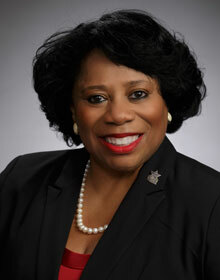 The mission of the Academic and Student Affairs Division is to provide leadership and collaboration to serve and support the faculty, staff and students of the Lone Star College community. Student Support Operations includes the Disability Services Office at System Office. This office provides support to Lone Star College students, support and training to College professionals in Student Service areas while ensuring quality and consistency in service delivery to students. The Office of Student Success and Completion ensures the essential integration and top performance of student success initiatives college wide. LSC-Online is committed to providing distance educational services that support the mission and core principles of Lone Star College. Services offered are designed to support quality instruction and reliable services that give students options wherever they may be. Students can gain a number of degrees completely online without ever stepping foot on campus, through a mix of distance and traditional instruction, or as a supplement to a traditional course. Providing a unique integrated model of college honors and international education. The goal of the division is to support LSC Mission to be “nationally recognized, globally connected, and locally focused” and to enable students to thrive in a diverse, global society. With a focus on undergraduate research, The Honors College at LSC offers a wide range of opportunities for honors students—from incoming freshman wanting to graduate with an Honors AA or Honors AS degree, to high-achievers seeking to graduate with Honors distinction, to students interested in earning individual honors course credit. The International Education department is responsible for international student services, internationalized curriculum, and study abroad. In addition, we offer faculty exchanges and collaborative partnerships with international governments or universities abroad. The Texas Completes cadre brings together eight college systems (Alamo Colleges, Austin Community College, Dallas County Community College District, El Paso Community College, Kilgore College, Lone Star College, Odessa College and South Texas College) that share a common vision for deep student success reform. By creating educational partnerships and defined transfer degree maps, we create seamless pathways for the student to enter the career of their choice. These partnerships and agreements provide LSC students with specific transfer benefits to the 4-year university of their choice as well as an opportunity to earn their bachelor’s, master’s and doctoral degree at one of the LSC-University Centers (The Woodlands and University Park). Students can earn their degree Close To Home! ?